Who resurrected the electric car? A passion of mine is cars. I absolutely love them. However I am keenly aware that they are a major contributor to the problem of global warming. If only there was a car I could buy that had zero greenhouse gas emissions. In the 1990s General Motors was the first company to start seriously investigating the possibility of purely electric vehicles. The result of GM’s efforts was the EV1 – the first mass-produced electric car. Between 1996 – 1999 over 1000 EV1s were made and leased out to customers. However after a loosening of regulations in California, which had been GM’s primary motivator for investigating zero emission vehicles, and a collective effort by the major US automakers to prevent further regulations GM killed off its electric car programme and crushed every single EV1 it had made. With the exception of Toyota’s hybrid Prius, the world’s car makers weren’t making headway towards electric vehicles. Flash forward to 2008 and a new car company, Tesla Motors, releases it’s very first car, the Tesla Roadster – a purely electric, two-seat sports car that was quick! For the first time ever a car company was mass-producing electric cars for people to buy. 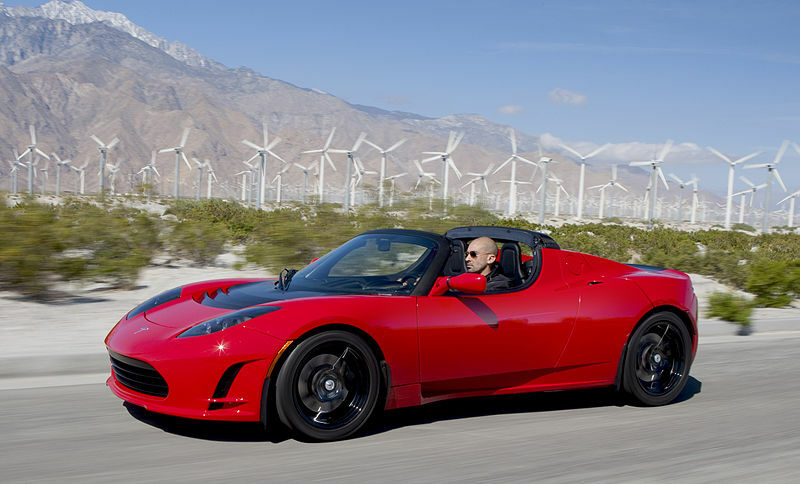 In all, 2,450 Tesla Roadsters were built and sold between 2008 – 2012 for a sticker price of US$109,000. With the Roadster’s success other car companies started developing mass-produced electric vehicles. Mitsubishi released the i-MiEv in 2009, Nissan released the Leaf in 2010 and General Motors released the Volt in 2011. Although these cars cost less than a Tesla Roadster, none of them could come close to matching the Roadster’s (almost) 400 km range from a single charge. Tesla then move the goal posts further in 2012 when it released its second car, the Tesla Model S – a luxury sedan, with amazing performance and a range of up to 350/450 km depending on the model, for a price of US$70,000/US$80,000. But although Tesla makes truly great electric cars, they aren’t exactly affordable. The good news is that Tesla hopes it’s third car will be something suitable for the average person, with a 320 km (200 mi) range for US$35,000. The better news is that Tesla hopes to begin selling the car as soon as 2017. However, the great news is that General Motors hopes to beat them. The race is on!